Audiences around the world have heard Dr. Osar’s dynamic presentations. Dr. Evan Osar is an internationally recognized speaker, author, and expert on assessment, corrective exercise, and functional movement. 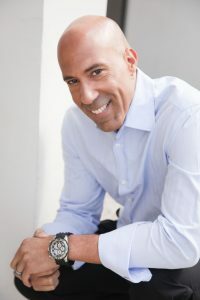 He has authored Corrective Exercise Solutions to Common Hip and Shoulder Dysfunction, Functional Anatomy of the Pilates Core, and Amazon #1 Best Sellers The Psoas Solution and The Pain-free Exercise Blueprint. He has developed the industry’s most advanced training certifications: Integrative Corrective Exercise Instructor™ and Integrative Movement Specialist™. With his wife Jenice Mattek, he created the Institute for Integrative Health and Fitness Education™, an on-line educational resource for the health and fitness professional that specializes in working with the general and older adult populations. knee and lower extremity issues when walking or running. From this knowledge, the fitness professional will be able to choose the best assessments and most appropriate corrective exercises for improving alignment and control of the lower extremity. Additionally, the fitness professional will discover an easy-to-implement 3-step approach to improve lower extremity stability while safely progressing their clients into a walking or running program.